Gratitude does not come easy. It needs practice. I was wondering if I would be able to express Gratitude without my memory playing the role of reminding me the details. See, I got another thing to be thankful for, My Memory. July was a good Month. My Gratitude Pie proves that. It was whole 1 month of being aware and being grateful. 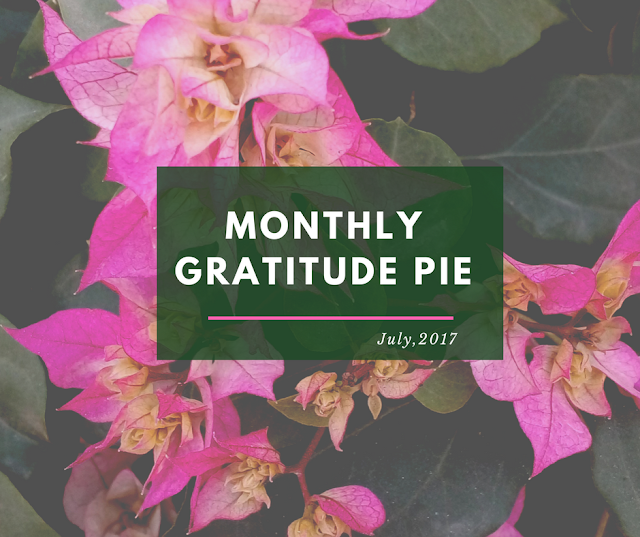 Checkout full story of Monthly Gratitude Pie for July on Storify. I cannot forget those 10 days of anxiety when my Blog was down. Thankfully, I had the backup and everything was restored without any data loss. Office management has announce quarterly Bonus policy for the ones who have completed more than 2 years with the company. Its my 4th year here and time to celebrate. I couldn't thank much to my Kiddo's Day care Aunt. Its because of her that I could continue my Job. Her Love for Kiddo reflects in her words and eyes. Thankful that Kiddo gets love of so many people. Brother always manage to come Home on his Birthday. Being in the same city as my Maternal place, I am able to spend some time with him. We went out on shopping. I feel so happy when he asks my opinion while buying anything for himself. We went uphills over the weekend with Cousin's Family. Its been so long we went out together. Thankful for the proximity to hills and for loving cousins. Did you like this idea of expressing Daily Gratitude with Gratitude Pie? You are right Karen..it really worked for me. Might be because of visuals. Thanks for commenting. Thanks Ramya. Do try and tag me on Instagram. Thanks for your kind wishes. Thanks Sam. Its too easy to follow. I tried the other versions in the past but this one is working for me. Loved to have you here. 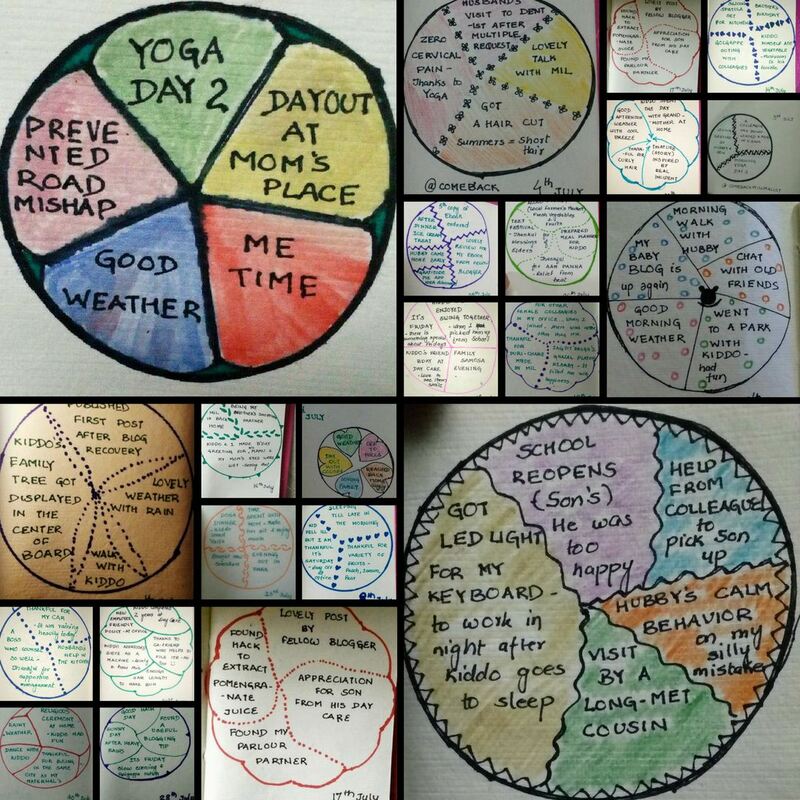 Enjoy the bonus this year.Pie chart makes the chunks of happiness real! Thanks Sara. I am loving these pies of happiness. Thanks Sue..This habit of daily gratitude inspired me to make an App on the same lines. It will be easy to make and share the Pies then. Thanks for taking time to comment. Cheers to your PitStop team. Thanks Menaka. Its helps me on those days when looking at brighter side is bit difficult. Thanks for choosing my post. Always happy to be a part of these initiatives. 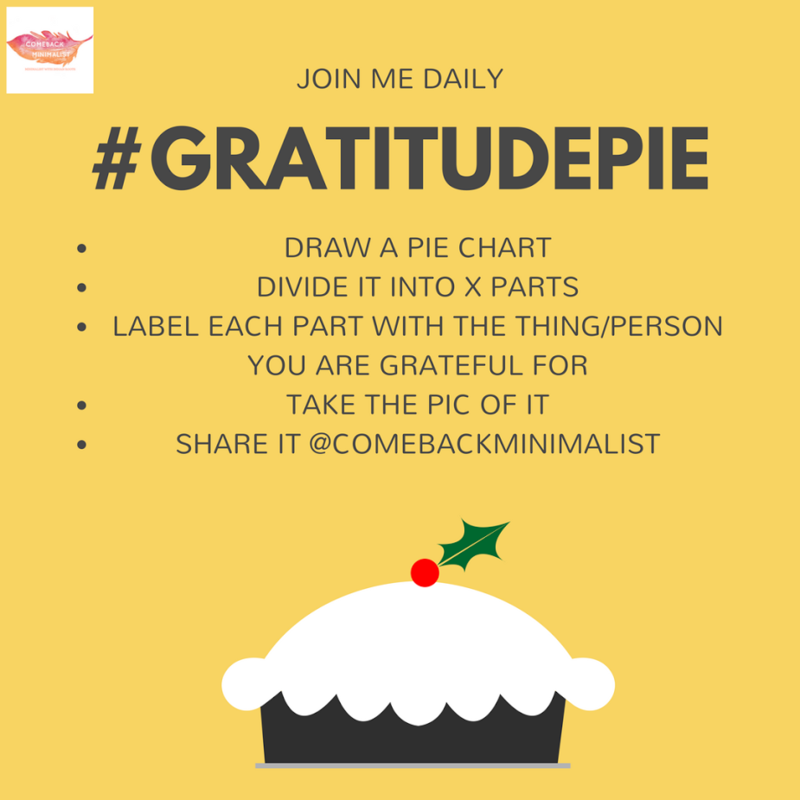 I just love the concept of a gratitude pie! Nice to read about your Month of July. Wishing you many pie slices for August. Thanks Wren for your positive feedback. Checking out your space now. Do join me over Instagram. Thanks for showing love Monika. Do join me over Instagram. Your posts are so lovely and heart warming. I love the great idea of Gratitude Pie. Hope to join with you with my Gratitude Pie. Stay happy, Upasna. Thanks Vasantha. Do join us with your Pie.I am sure, It must be a lovely one. Do you have something to say? I would love to read your thoughts.